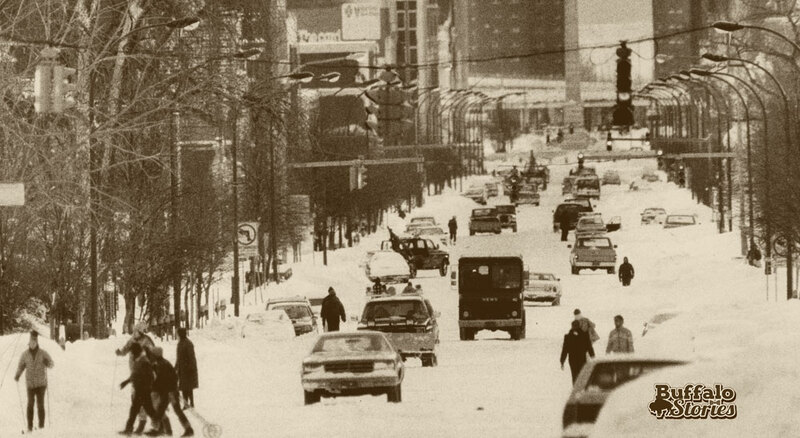 Continuing our weeklong look at Delaware Avenue, today we look at several photos that show Buffalo’s traditionally most-aristocratic street resplendent in the trappings of eras gone by. The northwest corner of Delaware at Allen. 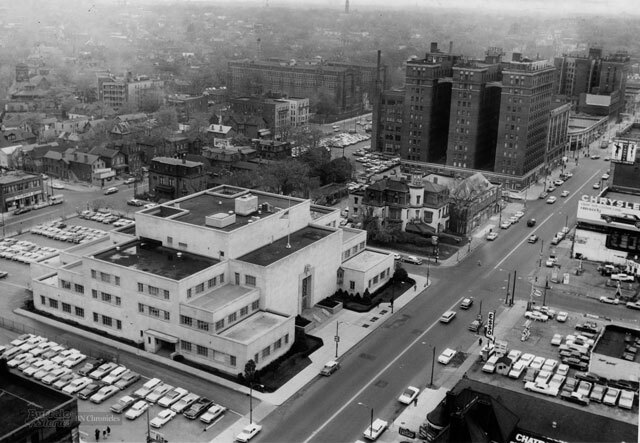 The building that is now the headquarters for Gurney, Becker, and Bourne was built in 1961. Some scenes don’t look too much different, save the make and model of the vehicles more than a century later. Others are completely of another time. 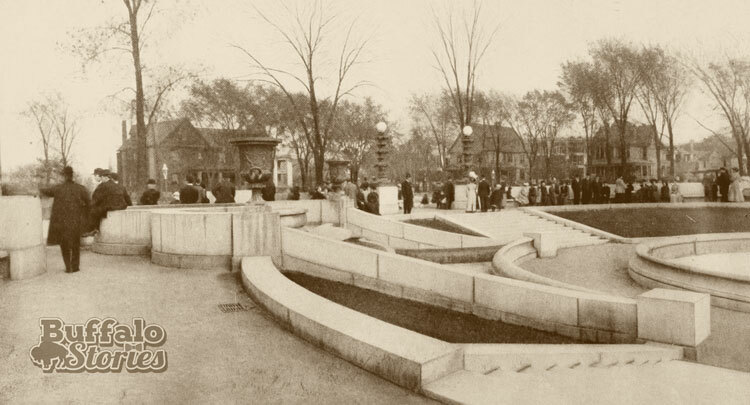 A Sunday morning at Gates Circle, around 1900. 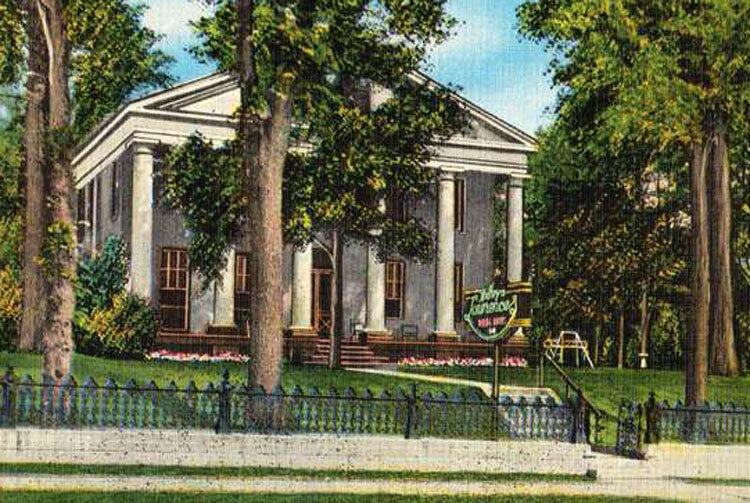 This is a turn of the century look at Temple Beth Zion and the 20th Century Club. The temple burned in 1961, the 20th Century Club remains strong and active. Delaware and Virginia looking north, the second house in on the left belonged to Mark Twain. 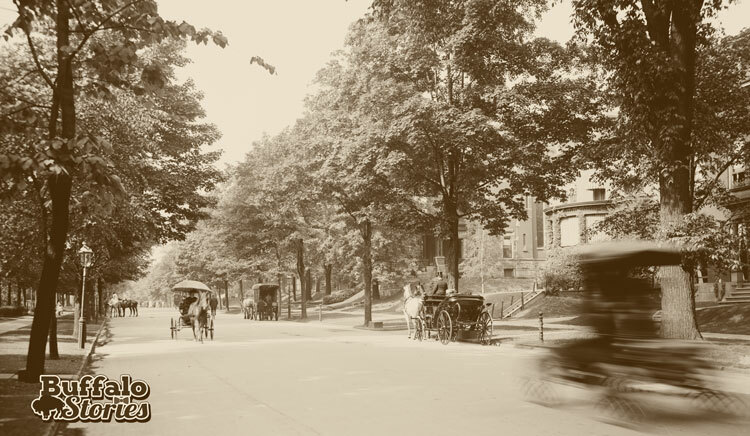 Photography of the first decade of the 1900s was not prepared for the great speeds of the automobile—which often reached up to 15 to 10 miles an hour on city streets. 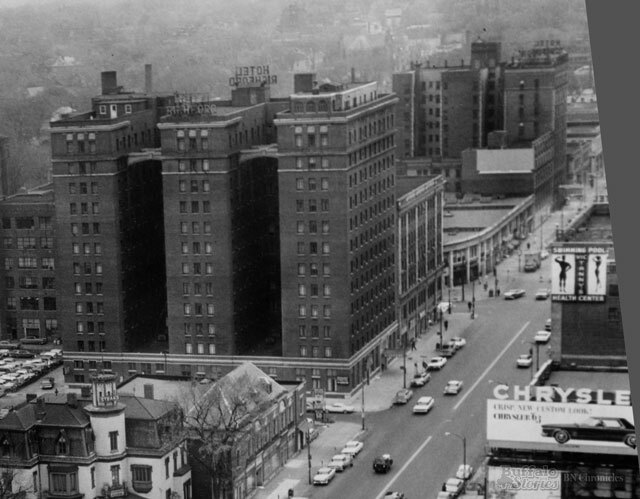 At the northeast corner of Delaware and Barker, a nine-story $500,000 luxury apartment building was going up next to the Bishop Fallon faculty house in 1962. 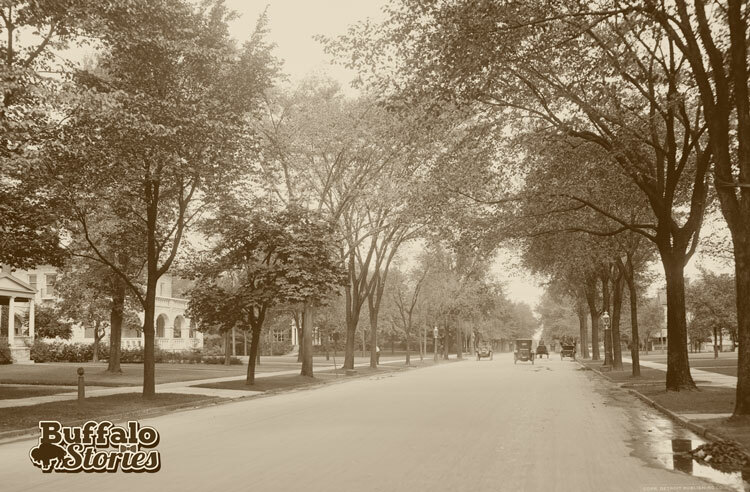 This week, we’re taking a look at Delaware Avenue. 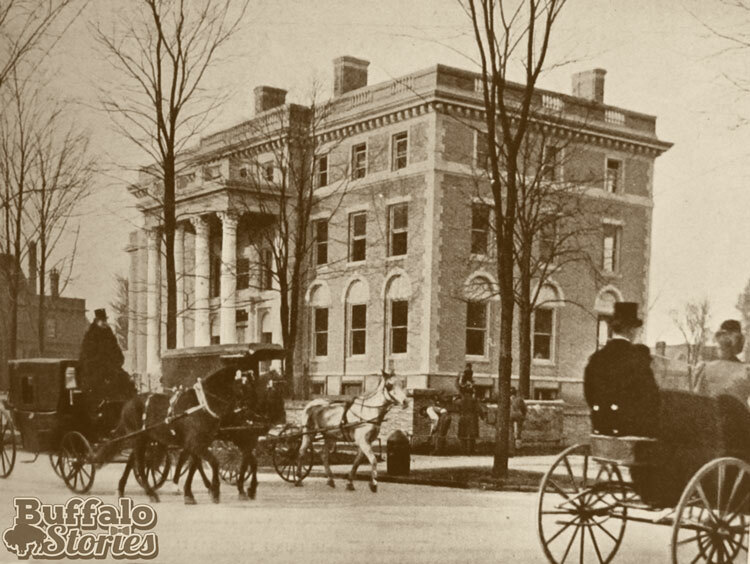 Few spots along Delaware Avenue, or anywhere else in the city for that matter, are at the center of more interesting stories of Buffalo’s – and America’s – history than the home generally referred to as the Ansley Wilcox Mansion. In the midst of a complicated diplomatic crisis between the U.S., Britain and anti-British Canadian rebels known as the Caroline Affair, the federal government built an Army post in Buffalo in 1837 to help protect the border. 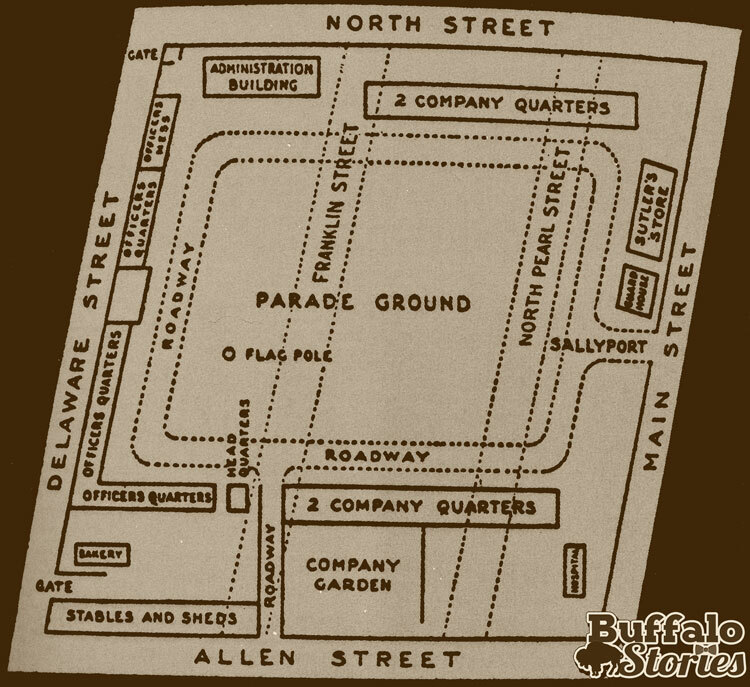 The Buffalo Barracks were built on what was then Buffalo’s northern outskirts, between North and Allen streets to the north and south and Main and Delaware to the east and west. 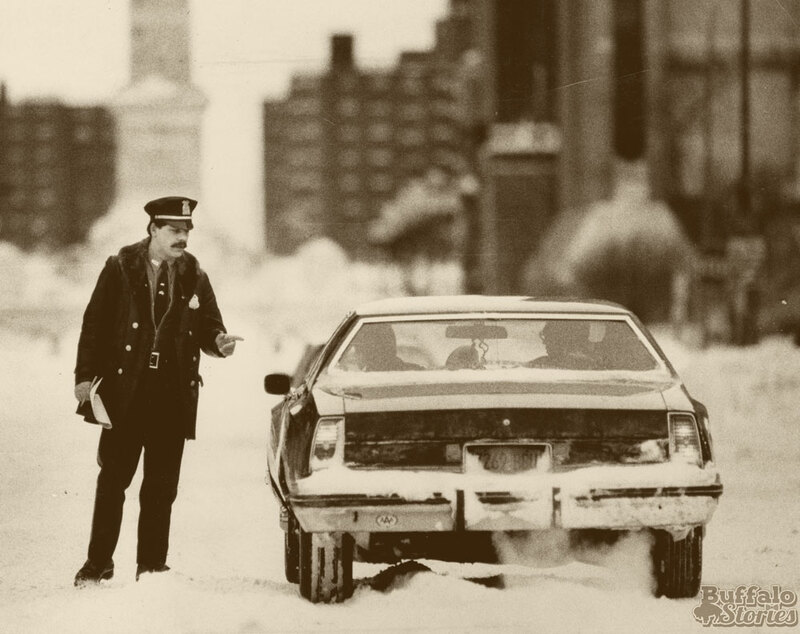 Only four years later, construction began on the more strategically located Fort Porter, which stood where the Buffalo side of the Peace Bridge now stands. The Buffalo Barracks were dismantled, except for one building – the home of the commanding officer and post surgeon. 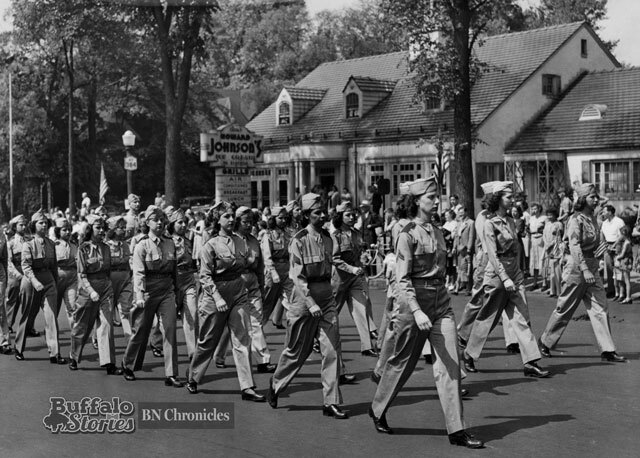 Part of the row of housing for officers, the house “faced” the parade ground – and therefore Main Street – even though it was much closer to Delaware. The house was remodeled and expanded by architect Thomas Tilden in 1848, when the home was occupied by Judge Joseph G. Masten (of Masten Avenue, Masten High School and Masten District fame). 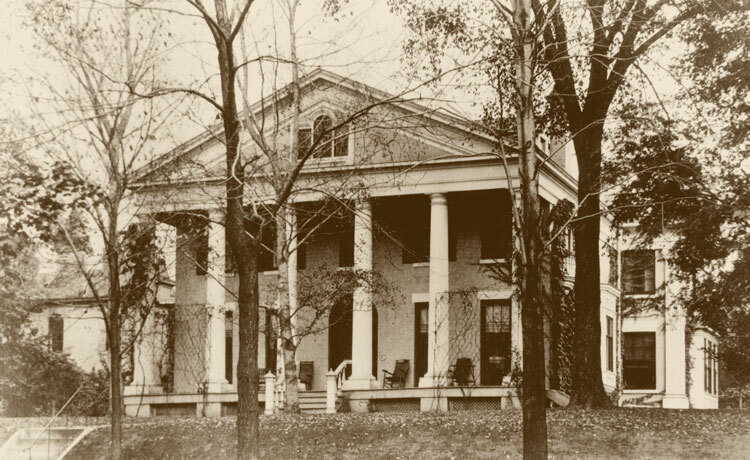 As Delaware Street became Delaware Avenue, and the address carried with it an increasing social status, a porch and front entrance were built on the Delaware Avenue side of the building, sometime before it was given to Ansley Wilcox as a wedding present in 1883. 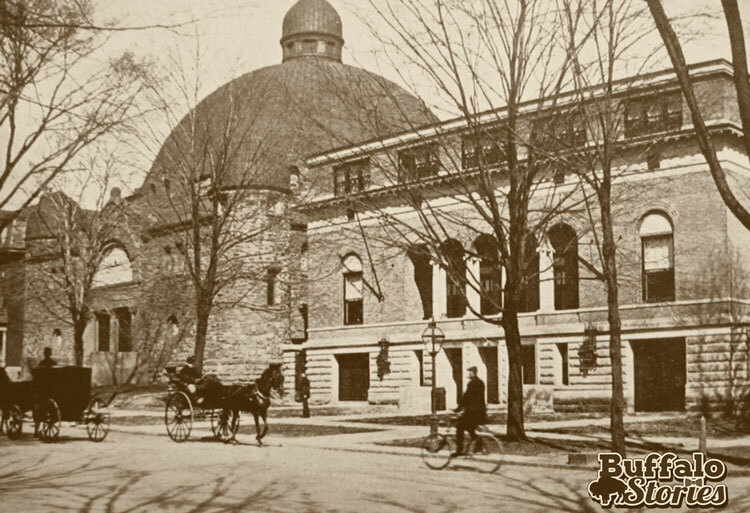 Under the direction of Wilcox, architect George Cary – who also designed the Buffalo History Museum – redesigned the two parlors of the original barracks residence into the library where Theodore Roosevelt would be sworn in as president. The Wilcox House in 1901. 2. The Buffalo connection to the naming of the poinsettia. The Buffalo Barracks were formally known as the Poinsett Barracks for Joel Robert Poinsett, who was a visitor to Buffalo during the time of uncertainty with Britain and Canada as President Martin Van Buren’s secretary of war. His previous diplomatic posts included a stint as the ambassador to Mexico, where the envoy’s interest in botany led him to send clippings of a wild-growing red plant back to his stateside greenhouse. Poinsett introduced the species to Americans, and lives on in Christmas celebrations with the poinsettia – which is a good thing because the base named in his honor didn’t last even a decade. 3. Theodore Roosevelt wasn’t the home’s only presidential visitor. The Poinsett Barracks and final remaining vestige, the Wilcox Mansion, have quite the presidential pedigree. 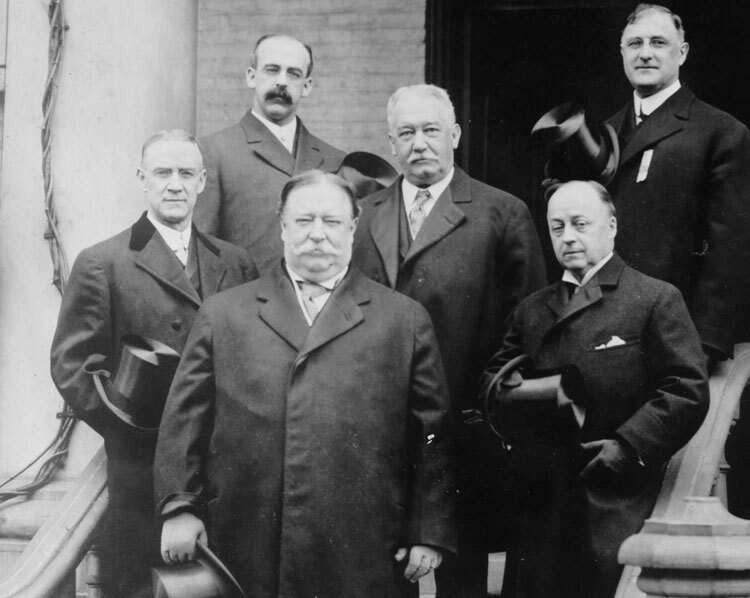 President William Howard Taft, front, stands on the steps of the Ansley Wilcox House. Wilcox is over Taft’s left shoulder, with a white mustache. The first presidential visitor – President Van Buren – was there to dedicate the barracks on May 6, 1839. Future President Zachary Taylor visited the Buffalo Barracks in 1840 – his daughter was the wife of the post surgeon. They lived in the house that became the Wilcox Mansion. Scholars have listed President John Tyler as one of the presidential visitors to the home; he may have done so on a visit to Niagara Falls in 1841. Millard Fillmore was known to have visited many times in the days before he was president when the place was still the Buffalo Barracks, all the way through several owners of the property up until his death in 1876. One of Grover Cleveland’s law partners owned the home and the future president was a guest there as well. Presidents Abraham Lincoln, Ulysses Grant, William McKinley, William Howard Taft, Woodrow Wilson, and Franklin Roosevelt were all visitors to the barracks and/or the Wilcox House. If 13 U.S. presidents aren’t enough, you can also add a Confederate president. Jefferson Davis was stationed at the Buffalo Barracks during his time serving in the Union Army. 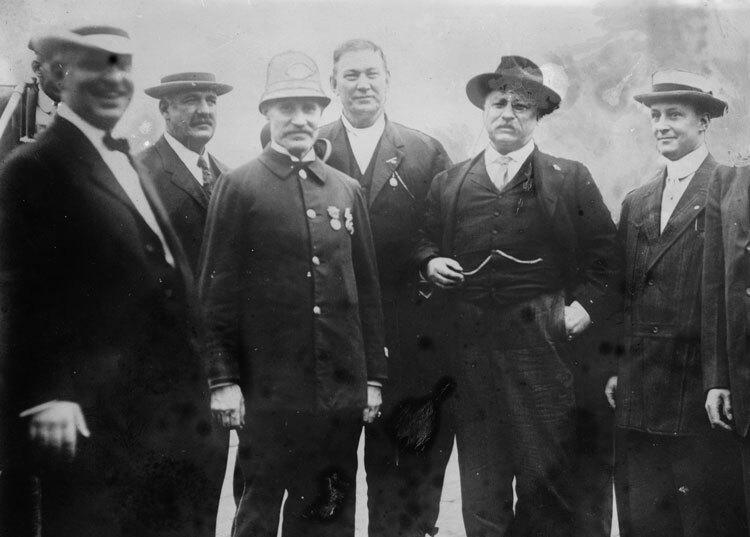 Theodore Roosevelt, with a Buffalo Police officer and others, around 1900. Both before and after his swearing in as president at the Wilcox Mansion, Theodore Roosevelt made no fewer than two dozen trips to Buffalo and Western New York. 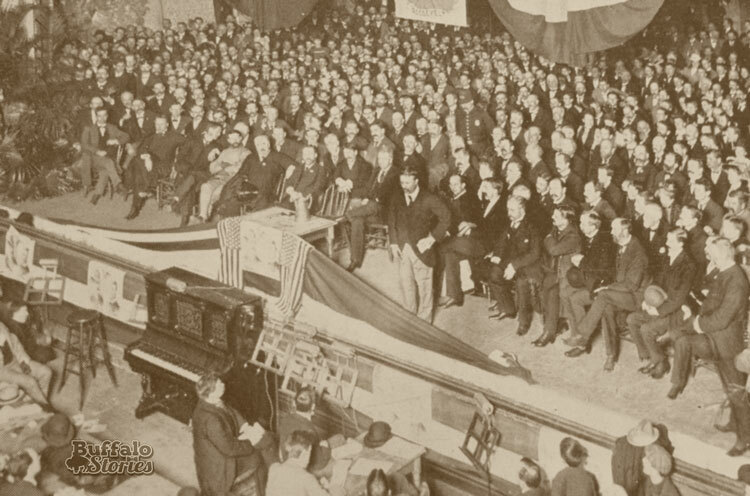 Theodore Roosevelt speaks at Buffalo’s Music Hall, Main and Edward streets, 1898. 5. 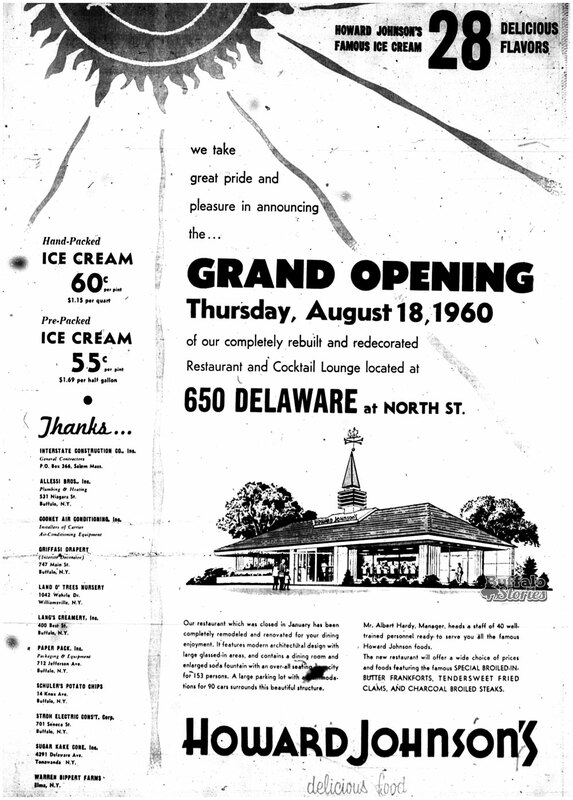 From the 1930s to the 1950s, the Wilcox Mansion was more a home of light refreshments than a historic site. 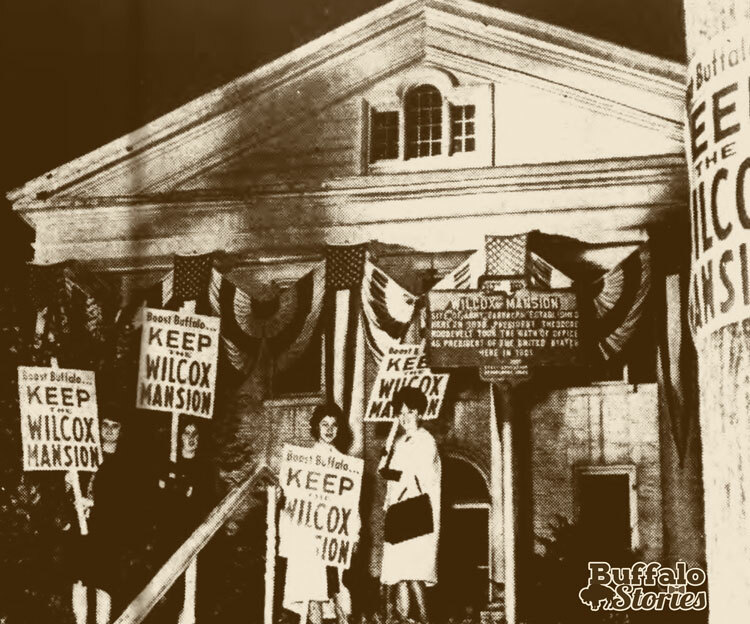 In September 1935, the original furnishings of the Wilcox Mansion were sold at auction – and soon after the Lawrence family bought the place to serve as a home to its restaurant. 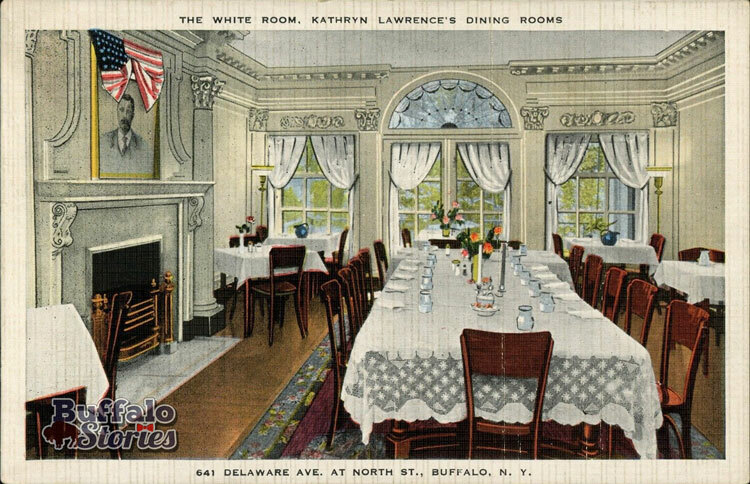 Eventually the Kathryn Lawrence Tea Room became the Kathryn Lawrence Dining Room when the Senate Bar was added, but from 1939 to 1959, Buffalonians were eating and drinking in the Ansley Wilcox and White Rooms, which were decorated to remind patrons of the history that had happened there. 6. 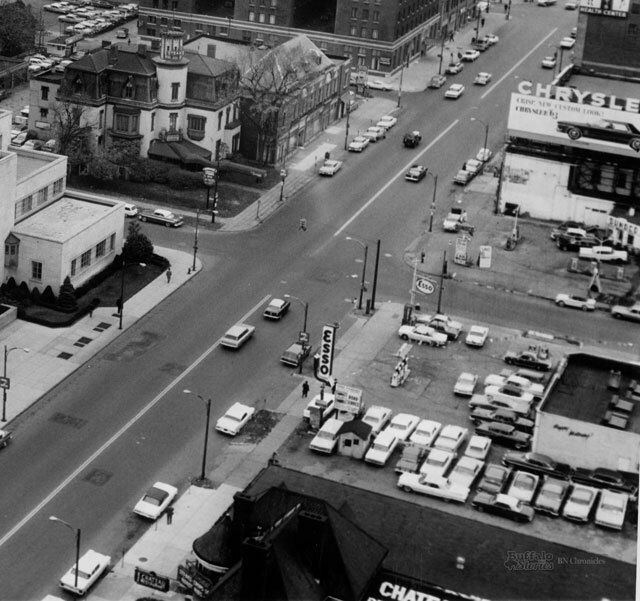 One of Buffalo’s most revered historical sites nearly became a parking lot. After the restaurant closed, Benderson Development bought the property and announced that a wrecking firm had been contracted to clear the property to make way for a parking lot. Congressman Thaddeus Dulski worked to find money in Washington to save the building, but a unanimous vote of the house was needed – there were three no votes. 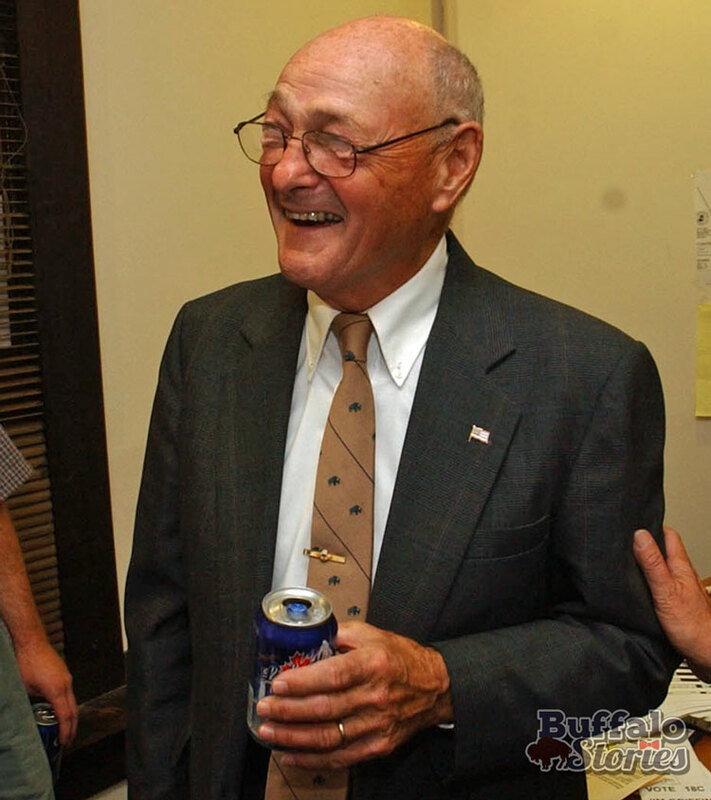 Dulski’s efforts were bolstered by Buffalo native Leo O’Brien, a congressman from Albany. Luckily, it never came to cussing. Liberty Bank eventually bought the building, and worked to raise money in the community until it made sense for the National Parks System to take over the building as a national historic space. 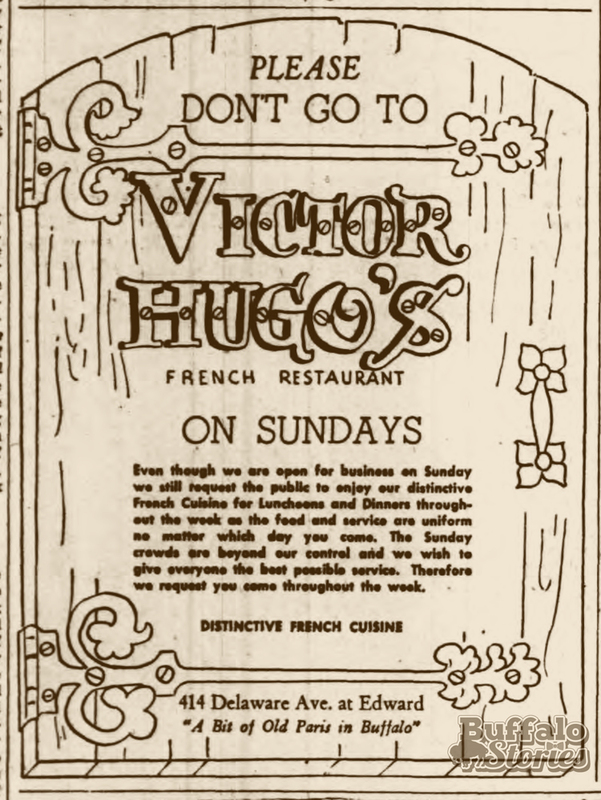 Victor Hugo’s was a mainstay restaurant at Delaware Avenue and Edward Street for a generation, from 1945 to 1977. 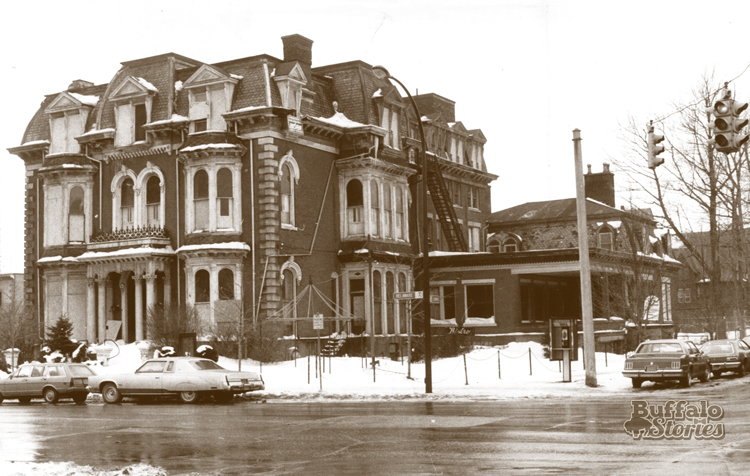 The family of owner Hugo DiGiulio was involved the management of many of Buffalo’s night spots and hotels, including the attached Victor Hugo Hotel, DiGiulio’s Club 31 on Johnson Park and the Hotel Buffalo – which stood at the corner of Washington and Swan streets, now filled by Coca-Cola Field. In addition to a restaurant and hotel, the property was also home to a furrier in 1942. 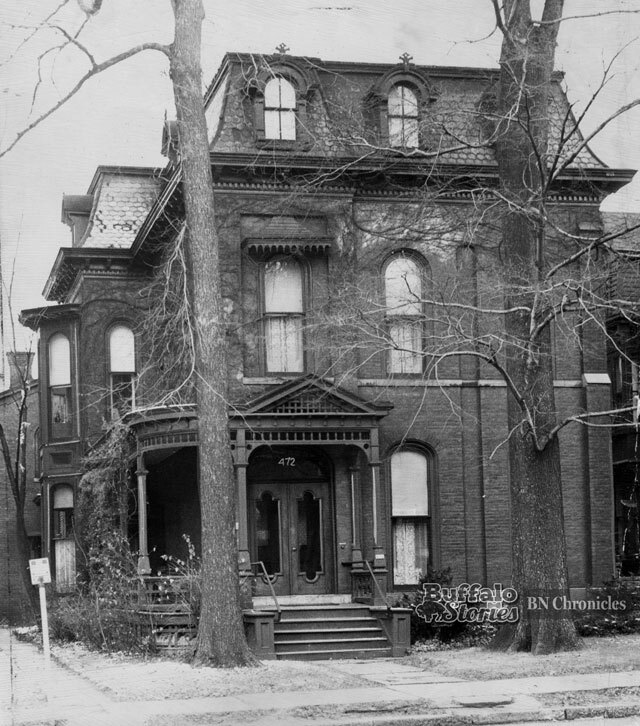 When the home was built for grain elevator owner Charles Sternberg in 1869, the Second Empire style with mansard roof lines and tall bay windows was popular in Buffalo and around the country. 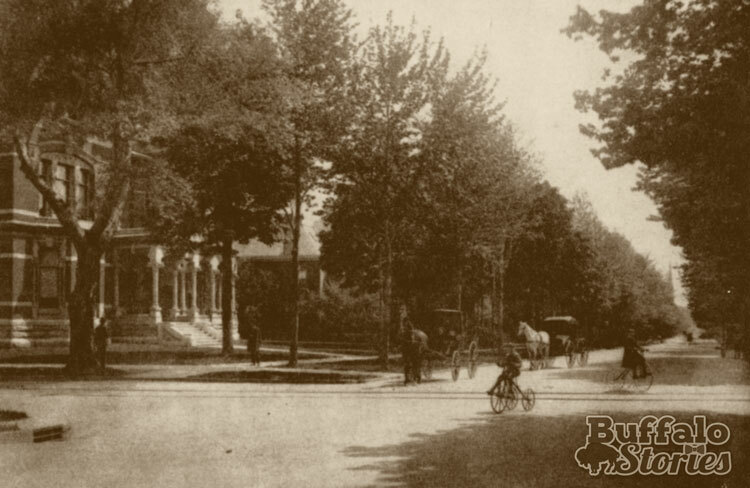 The Trubee family bought the property in the 1880s, building an annex in what is now the Buffalo Club’s parking lot. 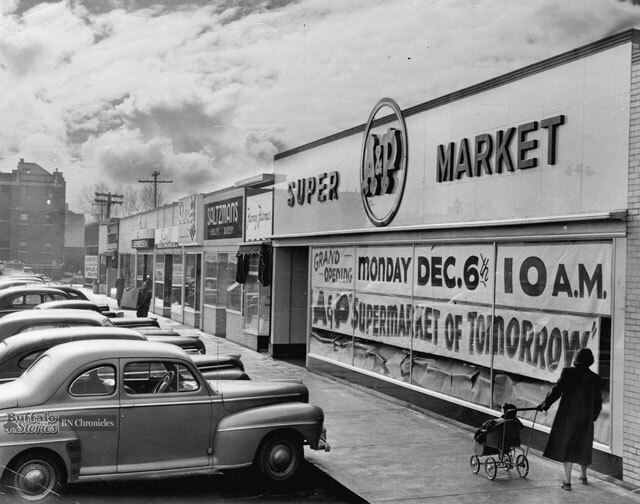 It was a mixed-use space with offices, apartments and hotel rooms. 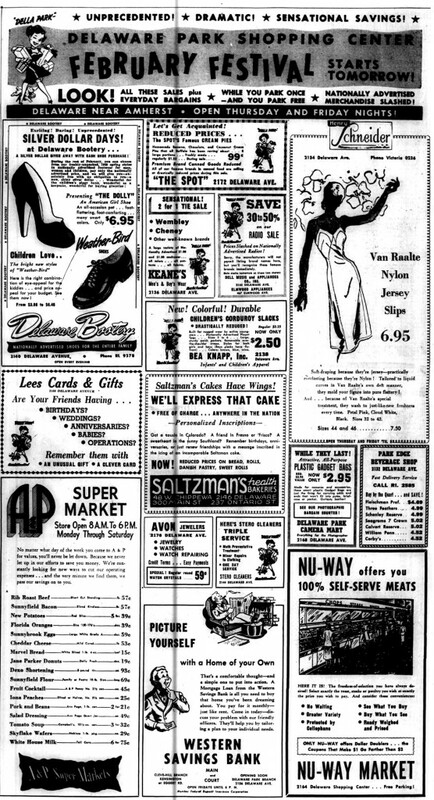 The hotel service was widely advertised during the Pan-American Exposition in 1901, which was a quick streetcar ride up Delaware Avenue away. When Victor Hugo’s closed and the building became vacant after more than a century in the service of the Trubee and DiGiulio families, the building spent the late ’70s, ’80s and ’90s either up for sale or in the midst of lengthy renovation projects. Providing very discreet lodging, The Mansion has become the Buffalo address for movie stars and billionaires visiting Buffalo. 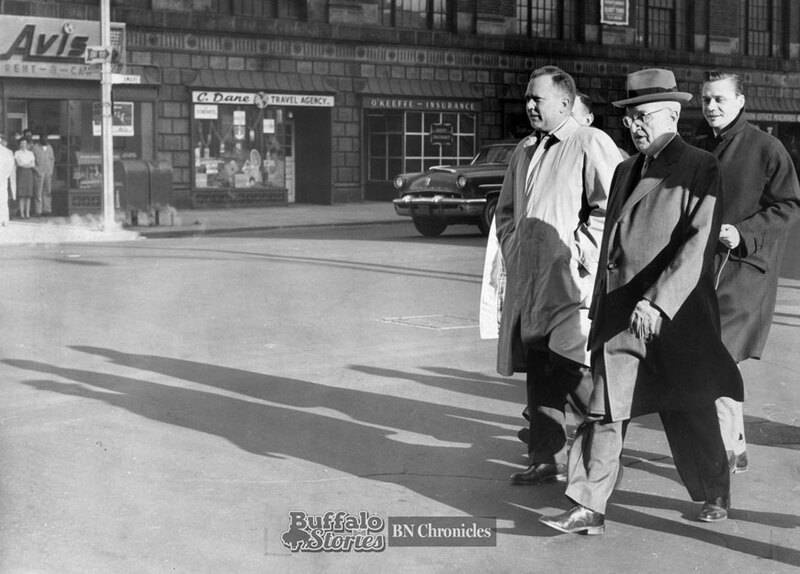 A decade after leaving the White House, Harry S. Truman spent 38 hours in Buffalo during the spring of 1962. The highlight of the trip was an honorary doctorate from Canisius College. During an address at the Jesuit college, Truman spoke for 30 minutes, mostly about the Cold War. “You can make agreements with them but the record shows it won’t do any good. 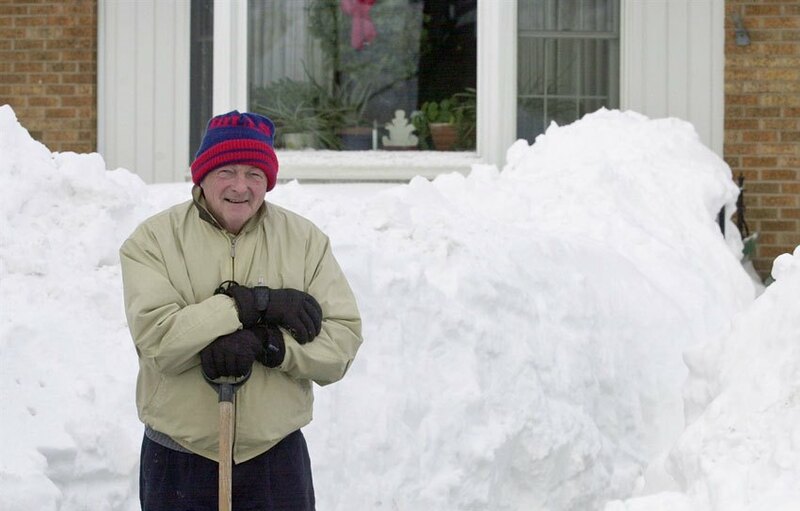 I wouldn’t trust them across the street even if I could see them,” said Truman. He also said that Josef Stalin, who died in 1953, and the Soviets lied to him personally at least 32 times. He also touched on “the race for space” and continued nuclear development and testing, saying all were vital, likening the work being done to that of Thomas Edison. “If he had stopped then, we’d be sitting around here in candlelight,” Truman told about 300 students in attendance. Truman told reporters that he’d never had so many intelligent questions asked of him as he did by the students of Canisius. 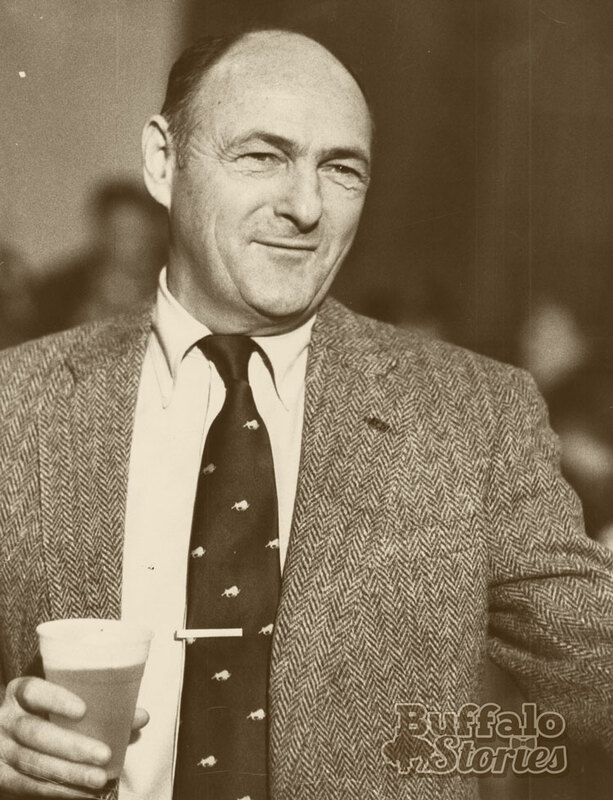 “And I have been to Yale, Harvard, Columbia and my own University of Missouri,” he said as he smiled. 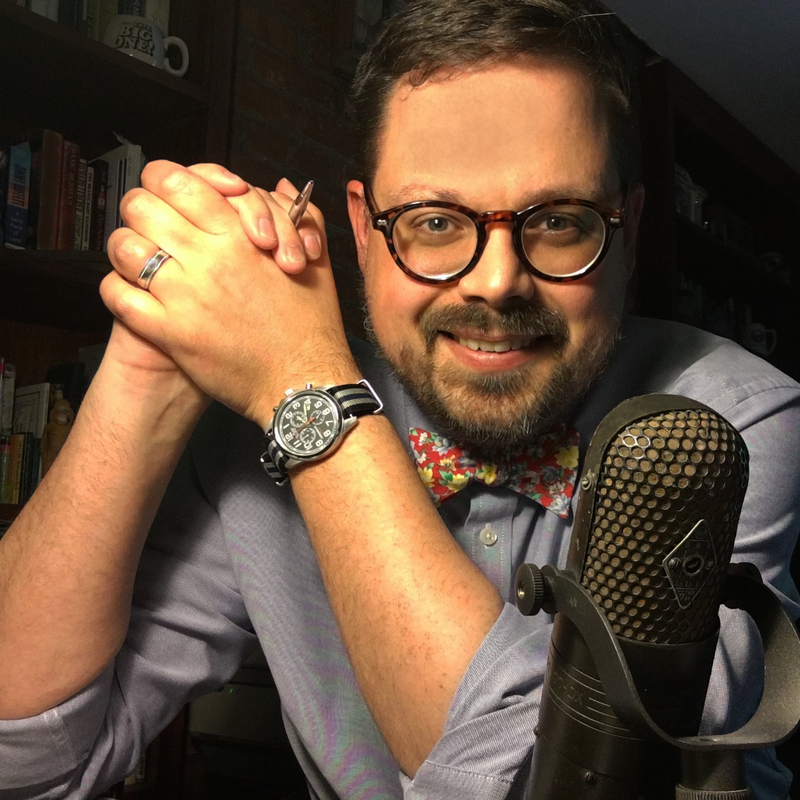 Among the tough questions was one about the famous letter “threatening the manhood” of a Washington Post music critic who had panned his daughter’s singing. It was written on White House stationery. That was near the end of the student questions. 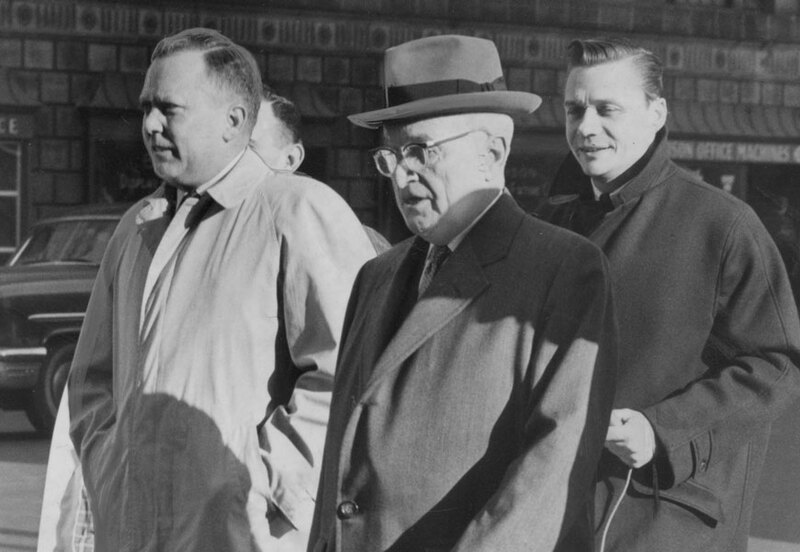 “I stood there an hour answering their questions and when they got too tough, I quit,” said Truman. 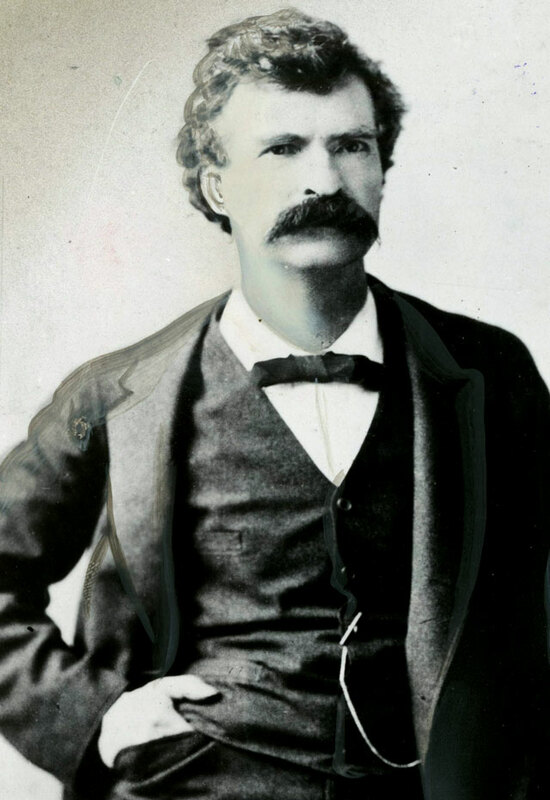 Mark Twain came to Buffalo as a swashbuckling, young writer in 1869. 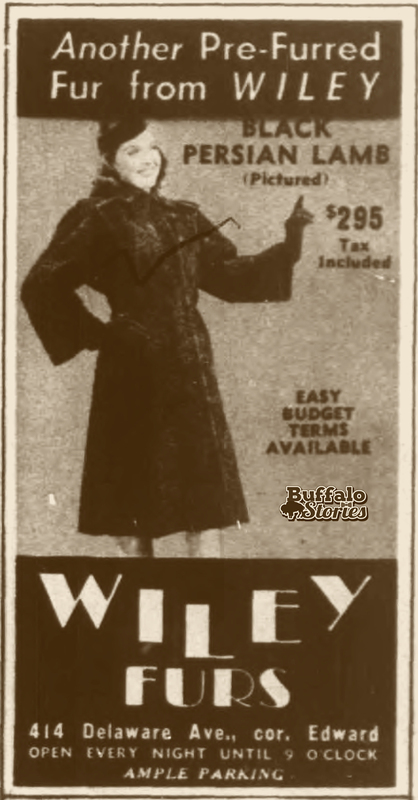 He bought a piece of the Buffalo Express newspaper, hoping to have a home base from which he could travel to speaking engagements and write a book about his adventures out West. As a single man, he lived in boarding house in a space now swallowed up by Coca-Cola Field. Shortly into his 20-month stay in Buffalo, he married Olivia Langdon, the daughter of a wealthy Elmira coal magnate. While it was Twain’s intention to continue to live the boarding-house life he had come to enjoy, it wasn’t to be. It wasn’t high society of the New England or New York City variety, but there were wealth and good people among what we’d today call Buffalo’s upper-middle class — plenty of those just like one of Buffalo’s other prominent citizens, Grover Cleveland. 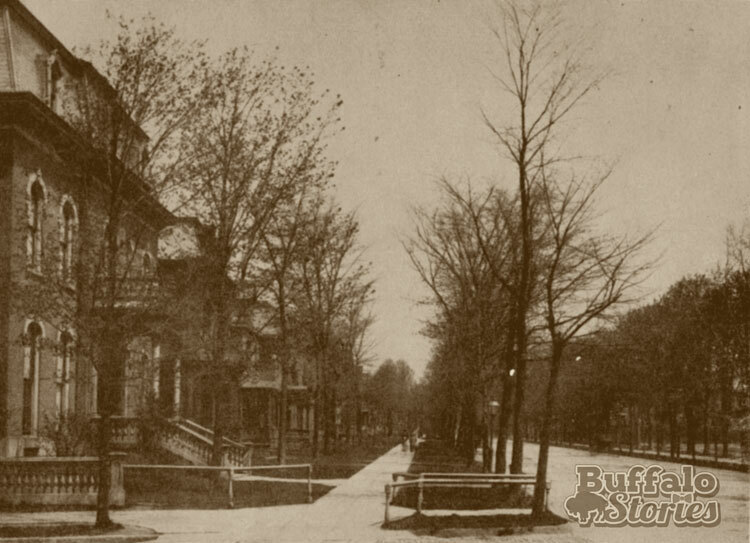 After marrying in Elmira, instead of returning to an action-filled neighborhood close to the canal and all that was happening in Buffalo, Twain and his bride were introduced to their new home on Buffalo’s most stylish and posh address — Delaware. Though the home was far more elegant that what he was used to, Twain might have become more comfortable in the accoutrements of Buffalo’s (and one of the country’s) finest avenues had tragedy not struck at least three times. His wife Olivia was heartbroken when her father — and Twain’s financial backer — died after a long illness. One of Olivia’s close friends became ill while visiting her in Buffalo and died in the house. Then after the premature birth and death of their first child, the couple moved to Elmira, then to the family’s longtime home in Hartford, Conn. The home remained a residence until it became the office of Dr. Alfred Bayliss in 1905. 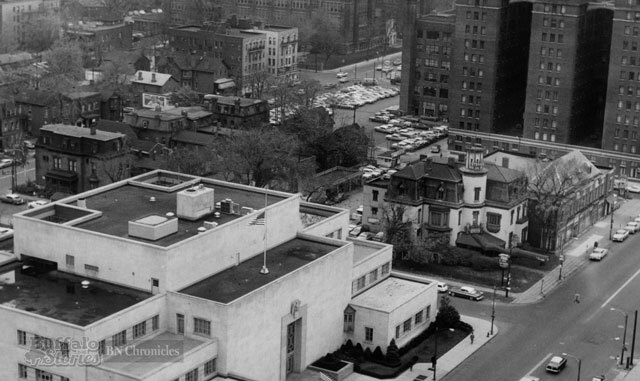 In 1956, after the brick had been painted white and the building was chopped up into apartments and offices, owners submitted a plan to take down the house and replace it with a $150,000 office building. Roland Benzow, an attorney who had also served on Buffalo’s Common Council, proposed an effort to buy the building and turn it into a Twain manuscript museum. 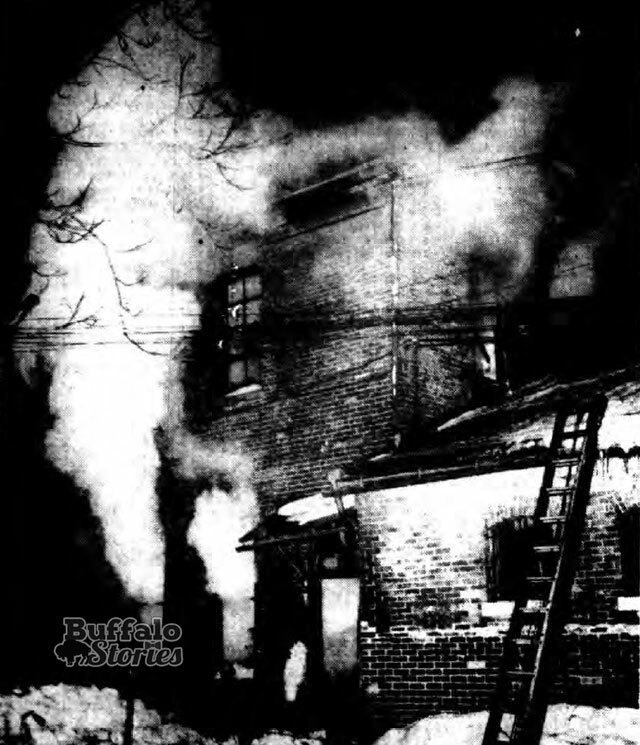 The Buffalo Mark Twain Society, headed by Benzow, had several ideas and offers over the next handful of years trying to save the landmark — but flames of a never-determined origin sealed the structure’s fate. 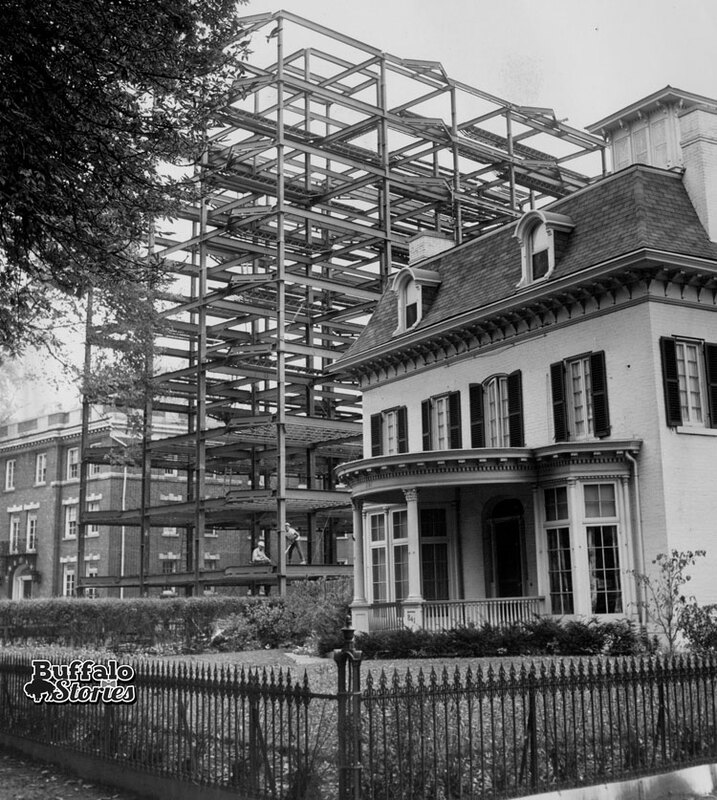 When a three-alarm blaze broke out in the house on Feb. 7, 1963, newspaper headlines blared that the Mark Twain House was “saved from flames” in a “close call,” but after seven years of effort to raise money to save the house, Buffalo’s Twain mansion was torn down. 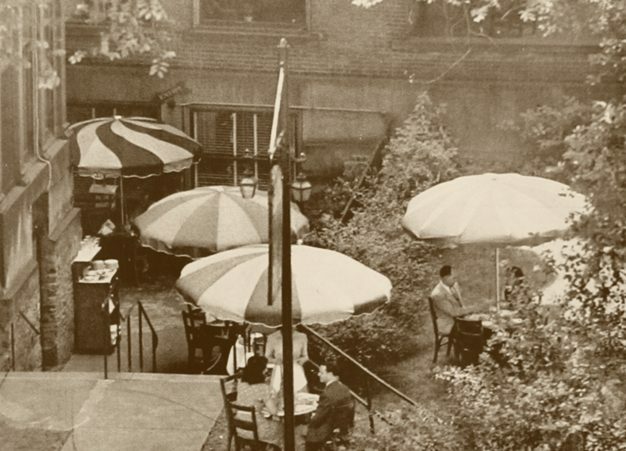 The site became a parking lot for the Cloister restaurant, which opened in the home’s still-intact carriage house and a small structure built after the fire where the carriage house once connected to the main house. After the Cloister closed, the building was home to Buffalo Business First in 1989. Buffalo Business First moved downtown, the 1960s building was taken down in 2012, and a new $4.5 million mixed-use building named “Twain Tower” was built on the site. The home’s original carriage house still stands. 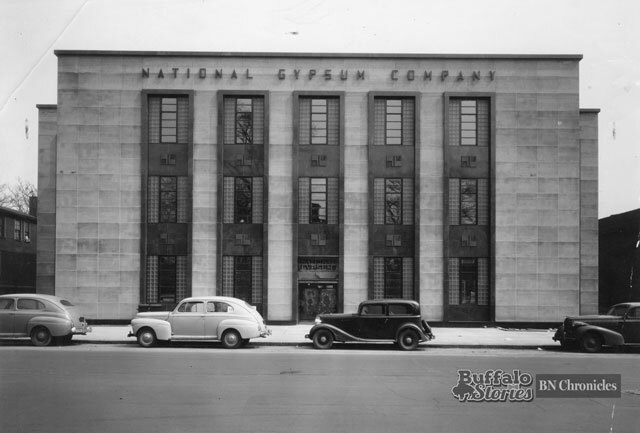 Pointed to as one of Buffalo’s finest examples of Art Moderne architecture, the National Gypsum Headquarters building was built on Delaware Avenue between Chippewa and Tupper starting in 1941. National Gypsum moved its corporate headquarters from Buffalo to Dallas in 1976, and the building was sold in 1978. The original metal windows were removed during the years the building served as Conrail’s Buffalo office, 1978-88.